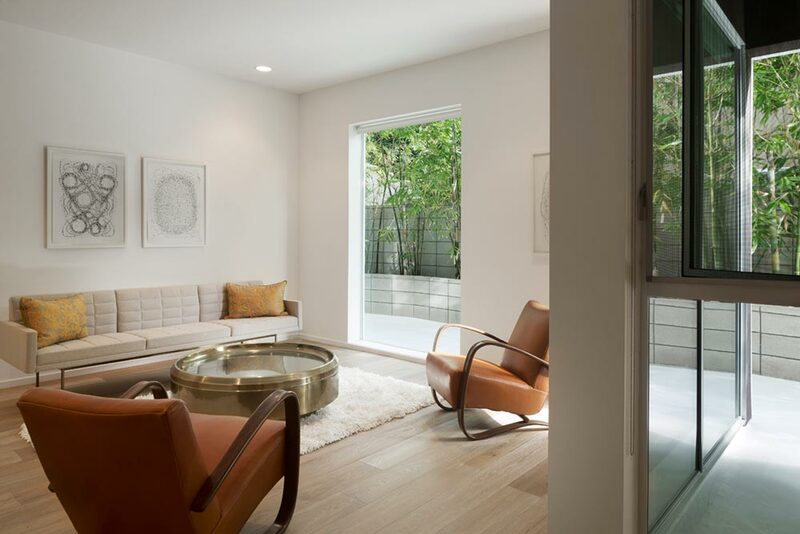 Cloverdale 749 is a stunning urban infill project from Lorcan O’Herlihy Architects that never tries to do more than its surrounding subtext provides it. 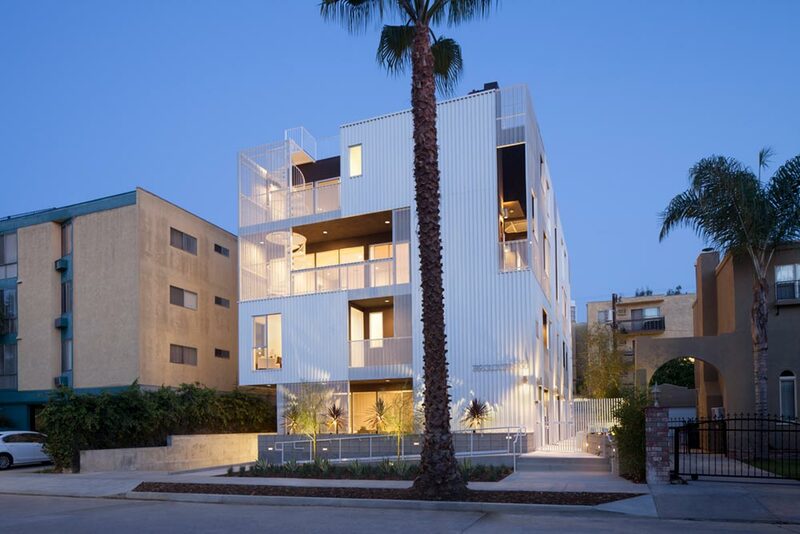 It is an understated work of multi-family residential architecture that works tightly with zoning and development standards to establish a relationship with sidewalk and street – few projects have the appropriate opportunity to explore. The Los Angeles urban fabric is once again graced with a few calculated strokes of architectural beauty that never attempts to hide its true colors. 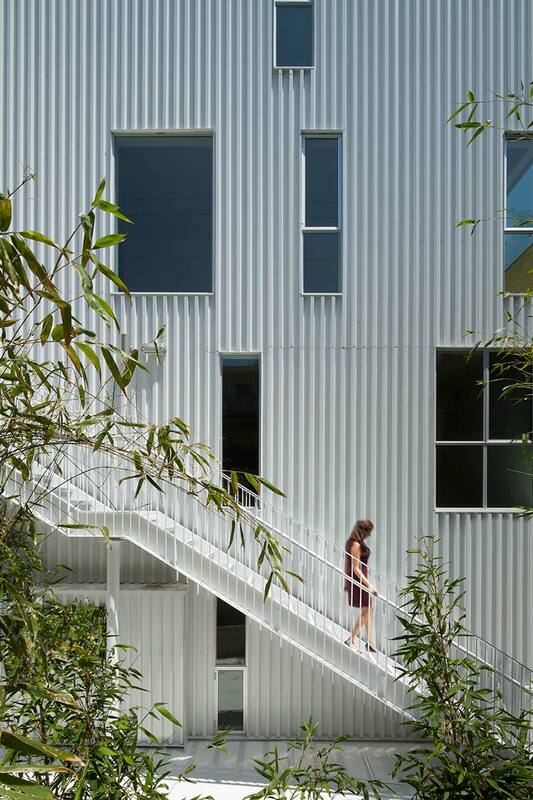 The street facing facade is a mixture of openings, balconies, and solid planes of corrugated steel that greets passersby with a rare sense of curiosity as just enough of the interior activities are put on display. At ground level, a layered procession through landscaped buffers and inset walls give the home the privacy any urban project requires, while simultaneously inviting the public to step up, take a whiff, and wonder about what lies beyond the facade. 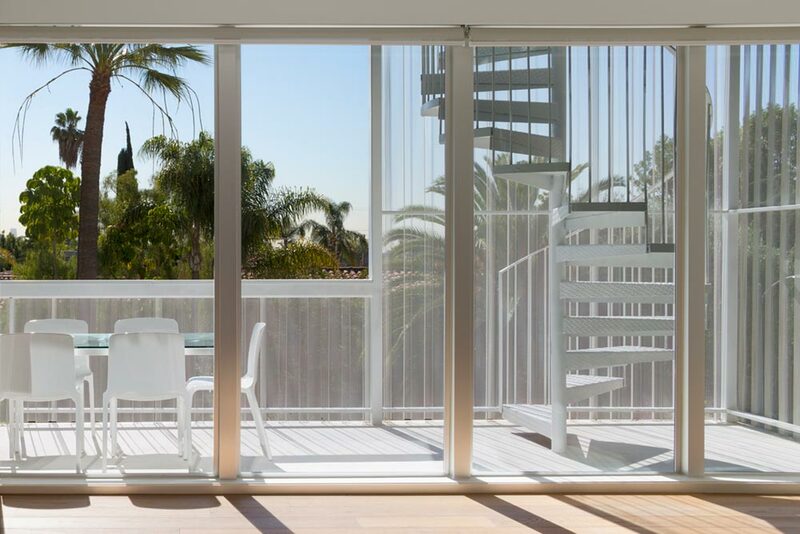 The upper floors are much less opaque or ambiguous, offering the private spaces of the home with ample light and view out towards the bustle of city life. 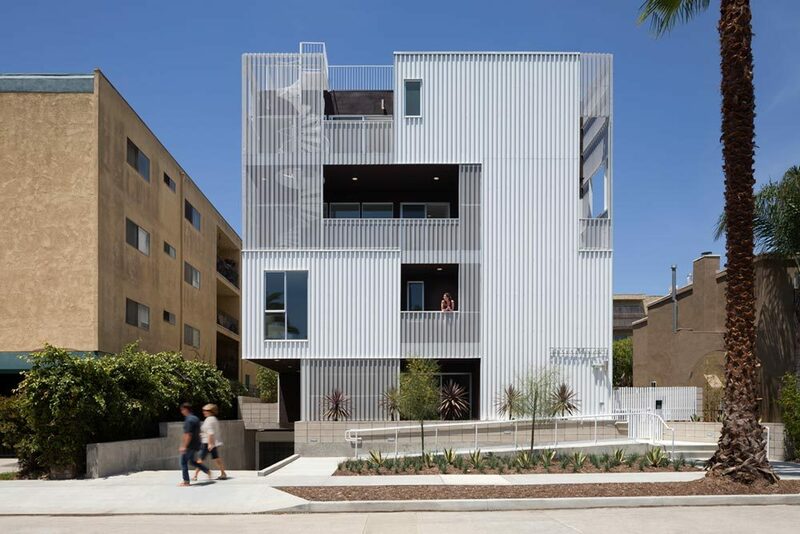 Along the sides of the structure are punched openings that allow each housing unit with a covered outdoor space to bring a little bit of open air into their respective living spaces. Corrugated metal continues to act as the primary material, giving way in places to accents of glass and subtle wood soffits. 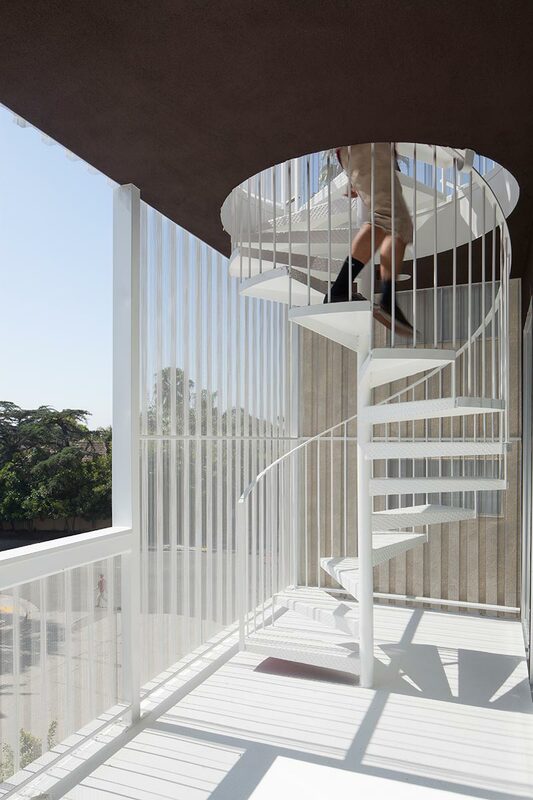 Some two story units are even fitted with whimsical spiral staircases that add playful aesthetic focal point to a project that largely plays by the rules. From a planning standpoint, there is nothing particularly extraordinary about Cloverdale 749. Perhaps there is irony in the fact that the rigid mundanity of the building envelope is what makes the project so special in its achievement. The architect has managed to max out the usable interior space without sacrificing aesthetic beauty. It’s in the uncompromising adherence to good, sound design that elevates this project above just another developer-driven bore that leaves everyone who walks by scratching their heads. This development has purpose – a deliberate sense of scale and materiality that sets it apart. Lorcan O’Herlihy Architects should be commended for their role in transforming a commonly overlooked urban typology into something marveled by both public opinion and user experience. As things move faster and faster these days to scrape quick dividends off the top, it’s refreshing to see there are people out there still taking chances.